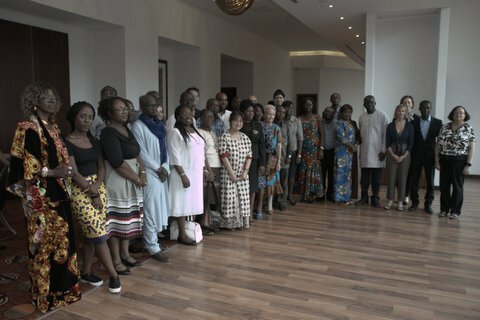 On March 11-12, 2019, COAR also participated in the second Libsense workshop organized by WACREN (West and Central African Research and Education Network). The program was developed by WACREN, EIFL and COAR, with support from OpenAIRE and the National Institutes for Informatics (NII) in Japan. The LIBSENSE initiative aims to nurture and develop collaborations between Libraries and Research and Education Networks (RENs) in Africa to support open science activities. The idea is that the sustainability and effectiveness of open science services in African countries, such as repositories, can be improved if stakeholders can adopt a shared approach. This second workshop focused on finalizing and endorsing a template Terms of Reference (ToRs) for collaborative activities between library or library associations with national or regional RENs, which outlines four areas: social change, infrastructure, capacity building, and value added services. Participants in the workshop, who mainly came from west and central african countries, broke out into national groups and discussed how the terms of reference could be implemented in each of their countries, and identified their local priorities. One concrete outcome that has already resulted from this initiative is the intention of WACREN to develop a shared hosting service for repositories in that region. This service is modeled on the approach of NII in Japan that is currently hosting over 700 university repositories. Other shared activities that were prioritized by the participants were: capacity building and training, policy templates and development, and repository harvesting and discovery, and amplifying success stories. In addition, adoption of a harvester to provide a discovery service for African research outputs, a shared publication platform, and looking at the models for next generation repositories that might be appropriate in the African context. Thanks to Omo Oaiya and Dr Boubakar Barry from WACREN, Iryna Kuchma from EIFL, and our local Ghanaian hosts, especially Peter Kaba Adaliwe. The next workshop will take place in April in Tunis, Tunisia in conjunction with the ASREN Conference (Arab States Education and Research Network). On March 6-7, 2019, we had the COAR Asia 2019 meeting in Dhaka, Bangladesh. The meeting was hosted by Bangladesh Agricultural Research Council (BARC) and was well attended by government representatives, national open access advocates, local researchers and librarians, as well as several members of the Bangladesh parliament. The event was covered by the local media – in the national newspaper and on broadcast on national television. As in previous years, the meeting was an opportunity to focus on open access activities in the Asian region and exchange information about strategies, infrastructure and policies, as well as provide the community with an update about COAR’s next generation repositories and aligning repository networks work. Agricultural research is a key priority and strength for Bangladesh, and open access to the results of this research is important as it can support the development of new services and innovations and have direct benefits for the local farmers. The challenges faced in Bangladesh to implementing widespread open access are familiar to many of us: lack of incentives and awareness by the research community, insufficient resources to support “pay to publish” models, and gaps in expertise and staffing. However, to address this, the Bangladesh community has already begun working together to develop shared strategies and resources across the major research institutions. Participants discussed the unique opportunities in the country that could be leveraged to move things forward, in particular the strong push by the federal government for “Digital Bangladesh”, a strategy to modernize and provide digital and open access to government services, data and information. At this meeting, we were able to articulate how open science fits into the broader concept of open government, and discuss how Bangladesh can both support local priorities, while still participating in international research activities. Big thanks to Dr. Susmita Das, Dr. M. Baktear, and all the colleagues at BARC for co-organizing and hosting this event. February 6, 2019 – This is a slightly updated version of the COAR initial feedback published on December 13, 2018. The Confederation of Open Access Repositories (COAR) reiterates our strong support for the goal of Plan S to achieve “immediate Open Access to all scholarly publications from research” and we appreciate the opportunity to provide feedback on the guidance on the implementation of the Plan. COAR is an international association with members from over 140 organizations on 5 continents. COAR promotes global interoperability of repositories, helps to build capacity across regions, and offers an international perspective related to repositories, open access and open science with the aim of creating a global ecosystem for research dissemination. COAR agrees with many of implementation guidelines outlined in Plan S, but has some concerns that the technical requirements are too high and will result in only large, well-funded publishers and repositories to become compliant. The unintended consequence is that Plan S would further entrench the position and control of a small number of players in the scholarly communication system, hampering innovation and our ability to control costs. We recognize and agree with the aim of transforming the publishing industry, however to truly improve and transform the system there needs to be a multipronged approach, with a number of actions undertaken concurrently. Repositories are important mechanisms for advancing innovation in research communications, as detailed in the COAR Next Generation Repositories report, and should be considered on equal footing in terms of their role in providing open access, while also recognized for their contribution towards a more sustainable system that can support management and access to a variety of research outputs. To avoid further enclosure by a small number of large publishers and the negative consequences that would come with this (cost inflation, misaligned incentives, and publication barriers), we recommend that Plan S actively foster and explicitly acknowledge the importance of a diversity of publication models and non-APC based service, such as the vision outlined in the COAR next generation repository work. This model offers a sustainable alternative to traditional publishing by building peer review layers on top of the global repository network, distributing the services and costs across institutions. COAR and others in the repository community have concerns related to several of the requirements for repositories, a number of which we argue are not necessary and will create artificial barriers to the participation of universities and other research organizations in the scholarly communication system. While some of these recommendations may be ‘nice to have’, they are not prerequisites for robust and interoperable repository services. Instead they could result in driving repository functionality in the wrong direction, create too high of a bar for less resourced institutions, and further centralize research infrastructures and services because they cannot be adopted, leading to a replication of the existing inequalities in the scholarly communication system. We urge authors of Plan S to remove or reword some of the requirements, and move others into a “Recommended additional criteria” section, and establish a transition period for repositories to become compliant with some of the requirements. Below you will find COAR’s detailed feedback related to the “Requirements for Plan S compliant Open Access repositories”. These recommendations are based on widespread expertise of the COAR community and input from the COAR Next Generation Repositories Editorial Group, representing some of the foremost experts in repository technologies. The technical recommendations are based on a 1.5 year in-depth examination of the future behaviours and functionalities required for repositories undertaken by COAR and the Next Generation Repositories Working Group. We would be happy to explain these comments further and would be pleased to work with cOAlition S to finalize the recommendations. This will ensure that the implementation of Plan S for repositories is achievable and supports our common goal of accelerating open access. Apart from the SWORD protocol and a few regional router services, very few repositories currently have an automated ingest process for manuscripts. Indeed, most repositories employ a human-mediated deposit approach which involves librarians and/or repository managers recruiting and depositing content into the repository on behalf of researchers. This approach ensures there is some quality control of metadata and that the appropriate version of the article is being deposited. We do not believe that an automated manuscript ingest functionality is needed for repositories to comply with the intent of Plan S, which is to provide immediate access to the Author’s Accepted Manuscript. Furthermore, there are numerous different ways which “automated ingest” could be interpreted and implemented by different repositories. Unless there is a common, standardized mechanism required by all repositories, this requirement will not be effective in aiding with automated population of repositories. With further explanation and specificity, this functionality could be included in a “recommended additional criteria” section. The adoption of XML is extremely resource intensive. While we agree that full text articles need to be available for TDM, this does not equate to full text needing to be pre-processed through XML-JATS. This requirement supposes that text mining is part of the repository system, but the preferred approach to TDM for repository content is that external services aggregate and convert resources into text-minable format. It is sufficient to require that the content in repositories are available/open for automated discovery of full text (e.g. pdf or word). To that end, Plan S should recommend the Signposting protocol as the standard convention for making full text easily discoverable and retrievable by external services and processes. Quality assured metadata in standard interoperable format, including information on the DOI of the original publication, on the version deposited (AAM/VoR), on the open access status and the license of the deposited version. We agree with this requirement and have nothing to add. We agree that repositories should have an open API, however with hundreds of different open APIs, it is important to specify which APIs should be adopted in order to ensure machine interoperability and that service providers can develop cross-repository services. Plan S should recommend and eventually require, after a transition period, the adoption of Resource Sync as an API. ResourceSync is a modern successor to OAI-PMH. It is a specification based on Sitemaps that can be used by repository managers to provide information that allows third-party systems to remain in sync with the resources in their repository as they evolve, i.e. are created, updated, deleted. ResourceSync has been found to improve aggregation services, is scalable and is being adopted by service providers. Many repositories are already connected and indexed through regional, international or national harvesting services (e.g. OpenAIRE, BASE, CORE, LA Referencia, etc.) We recommend that the requirement that repositories integrate into abstract and indexing services be replaced by a requirement that repositories be harvested by a national, regional or international aggregator. The aim of this requirement is to ensure that the repository service is contactable and will respond to issues or queries from users. However, this seems unnecessarily onerous for the repositories. Many complex websites and services do not have helpdesks. We recommend that instead of a helpdesk, Plan S require a mechanism for users to get help or support for using the repository, which could be as simple as an email address or a simple online form. This is in line with existing practice for mainstream web services. Download a pdf version of the response. January 29, 2019 – Science and scholarship are critical to improving our lives and solving the world’s most intractable problems. The communication of research, a vital step in the research process, should be efficient, effective and fulfill the core values of scholarship. There is growing concern about the increasing concentration of control of research communication functions in the hands of a small number of players, whose objectives do not reflect the interests of scholarship. In September 2017, COAR and SPARC published a joint statement related to this issue and pledged to collaborate with others on actions that will ensure research communication services are better aligned with the aims of research. Accordingly, COAR and SPARC have developed seven good practice principles for scholarly communication services. The aim is to ensure that services are transparent, open, and support the aims of scholarship. Principles are also available on our Building a Sustainable Knowledge Commons webpage. COAR provided a response on the guidance on the implementation of the Plan S on December 13th and hosted a webinar with the repository community today to discuss Plan S requirements and the potential implications of them for repositories. Kathleen Shearer, Executive Director of COAR led the webinar together with Paul Walk, member of the COAR Next Generation Repositories Working Group, who provided important context and details related to the technical aspect of the COAR response. Shearer briefly explained COAR’s reaction and response webinar participants and opened the floor for the questions and comments about the Plan S compliant repository requirements. In general, COAR is strongly supportive of Plan S, is pleased that repositories are included as a mechanism for complying with Plan S (as they are important to ensure innovation in the scholarly publishing system) but has some reservations about the specific functional requirements for repositories as currently outlined. In this highly engaged, well-attended webinar, participants provided great comments, interesting questions and valuable input to the discussion. COAR will be revising its response to Plan S based on these discussions and other community feedback and will submit a final, formal response before February 1st, 2019 and also post it on the COAR website. Webinar recording and the slides of the presentation are now available through our channels. The Confederation of Open Access Repositories (COAR) reiterates our support for the goal of Plan S to achieve “immediate Open Access to all scholarly publications from research” and we appreciate the opportunity to provide feedback on the guidance on the implementation of the Plan. We recognize and agree with the aim of transforming the publishing industry, however to truly improve and transform the system there needs to be a multipronged approach, with a number of actions undertaken concurrently. We would like to stress the importance of repositories as complementary mechanisms for advancing innovation in research communications, as outlined in the COAR Next Generation Repositories report and ensure that their role is adequately reflected in Plan S.
In general, COAR supports the implementation guidelines outlined in Plan S and therefore we will focus our comments on the requirements for repositories. COAR and others in the repository community have significant concerns related to several of the requirements for repositories, a number of which we argue are not necessary and will create artificial barriers to the participation of universities and other research organizations in the scholarly communication system. While some of these recommendations may be ‘nice to have’, they are not prerequisites for robust and interoperable repository services. Instead they could result in driving repository functionality in the wrong direction, create too high of a bar for less resourced institutions, and further centralize research infrastructures and services because they cannot be adopted, leading to a replication of the existing inequalities in the scholarly communication system. COAR hosted a members-only webinar on 5 December on role of open repositories in research data management (RDM). RDM is a large component of open science, and the role of repositories is crucial in supporting RDM. Many repository services that began by collecting articles are interested in expanding their operations to include research data but it is difficult to know where to start. Several COAR members shared their stories about how they began their research data management services. Our speakers Robin Rice from University of Edinburgh, Sven Vlaeminck from ZBW Leibniz Information Centre for Economics, Barbara Hirschmann from ETH Zurich, Lluis Anglada & Mireia Alcalá Ponce de León from Consorci de Serveis Universitaris de Catalunya (CSUC), Rebeca Marin Del Campo & Marisa Pérez Aliende from Madrono Consorcio and Jose Antonio Galeano Cardenas, Del Rosario University greatly contributed to this discussion. While every organization and jurisdictional context is different, there are many shared challenges with adopting research data management services. Given the complexity and expertise related to RDM, some organizations can find it overwhelming. But, organizations just have to start somewhere, and then build and expand expertise and services incrementally over time. The research data management lifecycle can work as a good metaphor for designing services: “before research begins”, “while work is in progress”, “at the end of research”. Absolutely critical is that RDM service help researchers. If services are built on and respond to existing needs and requirements of the research community, they can greatly help increase the reputation and visibility of the library as a partner in research. How to balance the need to develop trusted services based on best practices vs. the resources required to adhere to stringent standards. Are there some feasible FAIR data practices and certification processes? Identifying the main interoperability requirements for linking data and other types of content and integrating different data sets. Geographic location is one element that works for many datasets, but more recommendations are needed. Defining the collection policy for the repository. Will the repository collect any type of research data produced by affiliated researchers, focus on a specific domain specific, address long tail RDM needs only? Should different platforms be adopted for RDM? While existing IR platforms have extended their functionality to include research data, there have limitations. As services mature, the organization may need to consider systems that specialize in RDM. We thank the presenters for sharing their experience with the COAR community and COAR will try to help address some of the challenges identified above through its RDM working group. COAR, with other partners including WACREN (West and Central African Research and Education Network) and EIFL, is coordinating a repository workshop in Zanzibar, Tanzania on November 19-20, 2018. This is the first in a series of meetings to develop a more cohesive strategy for strengthening and building more comprehensive repository networks in Africa. The two-day workshop, which will take place in conjunction with the UbuntuNet Conference, will convene library and NREN (National Research and Education Network) stakeholders from African countries to explore how library-based repositories can better engage with NREN services in order to break down institutional silos, add value to repositories, and support the growth of open science in the region. The meeting will discuss the current state of open access and repositories in Africa through a presentation of the results of a LIBSENSE survey of higher education sector librarians. It will address issues of interoperability, technical development of repositories, and next generation repository services. Additionally, the benefits and roles of network services will be examined and participants will work together to develop a roadmap and identify priority activities for next steps. These activities are part of a broader effort by COAR to help build capacity and align repository networks around the world. Work that is funded through the OpenAIRE Advance project. It contributes to our vision of building an inclusive and sustainable global knowledge commons, in which all regions and researchers can participate. The program and registration form is available on the conference web page. We would like to give you an update about meetings that COAR Executive Director, Kathleen Shearer attended two weeks ago in Santiago, Chile. The meetings were organized by LA Referencia and the Licensing Consortia from Latin America and the Caribbean. The meetings offered an opportunity to share information about the financial and licensing issues related to the big deals, and also the challenges for these countries that would arise with a potential flip to APCs. In Latin America, where they already have significant government investments in their local journal infrastructure (especially through the SciELO and Redalyc platforms), they are firm in their support for repositories as the preferred road for open access to articles published in the large commercial journals. 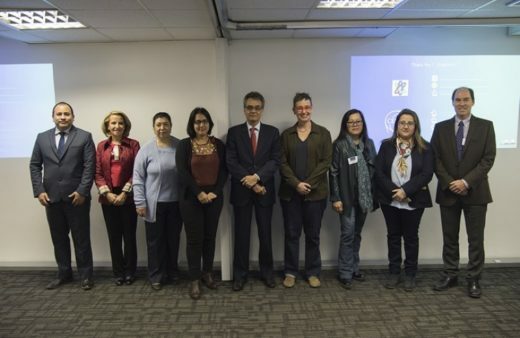 increase capacity for RDM in Latin America, LA Referencia and CERN signed an MOU to facilitate the use of the Zenodo repository for Latin American researchers and institutions. The agreement is the result of joint work that LA Referencia has been undertaking with COAR (Confederation of Open Access Repositories) and OpenAIRE, the European Open Science Platform, to internationalise research infrastructures and ensure alignment across regions. And last but not least, we would like to congratulate COAR Executive Board member, Bianca Amaro (IBICT, Brazil) who was elected President of LA Referencia for the next two years. We look forward to continuing to work closely with Bianca, Alberto Cabezas and all the other members and staff of LA Referencia. The Confederation of Open Access Repositories (COAR) and the Center for Direct Scientific Communication (CCSD) are pleased to announce that the next COAR Annual Meeting will take place in Lyon, France. For more information, go to the Annual Meeting webpage (coming soon).